DR Declan Departs the Storm! Tickets for Storm’s upcoming “Winter Classic” game against Sheffield Steelers, 1st January can be ordered online HERE, by calling the Box Office on 0161 926 8782, or in person at the box office. There are limited tickets left, so book soon to avoid disappointment! 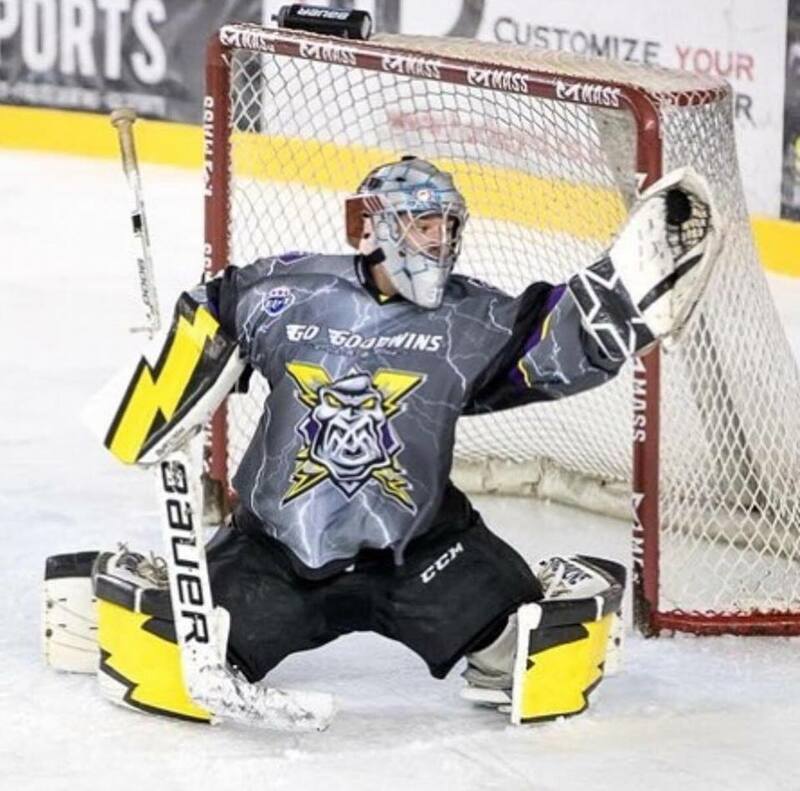 Your Go Goodwins Manchester Storm have confirmed that it will be netminder, Declan Ryan’s final game with the club on 1st January! 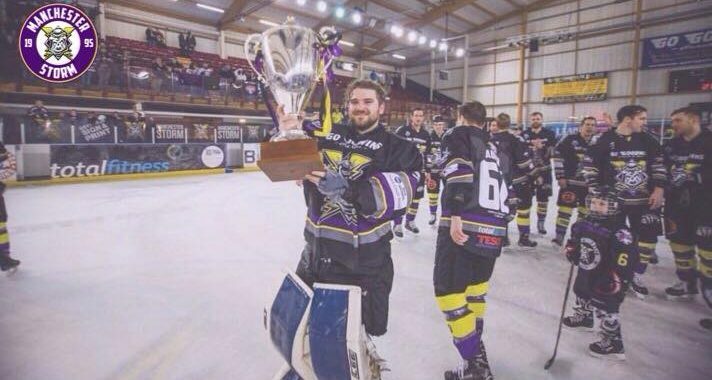 The 26 year-old British netminder – also a product of youth hockey in Altrincham, has accepted a new position in his field down south and will therefore be moving away in order to begin this new role. It’s no secret that Declan has been busy and worked extremely hard over the course of the last few years studying for his PHD. The club would like to say thank you for all the time he has given to the organisation and wish him the very best of luck with his career outside of ice hockey! The club is currently looking to fill the spot. In the meantime, Luke Wilson-Owen will be stepping in to help. Czech netminder Henry Pacl is still signed with the club and will be available to fly in whenever necessary during the remainder of this season. “I would like to thank Ryan and the entire Storm organisation for supporting my decision to pursue a career outside of ice hockey. They have understood that building a career in academia is my number one priority and they have always been accommodating when my work and hockey schedules clashed. 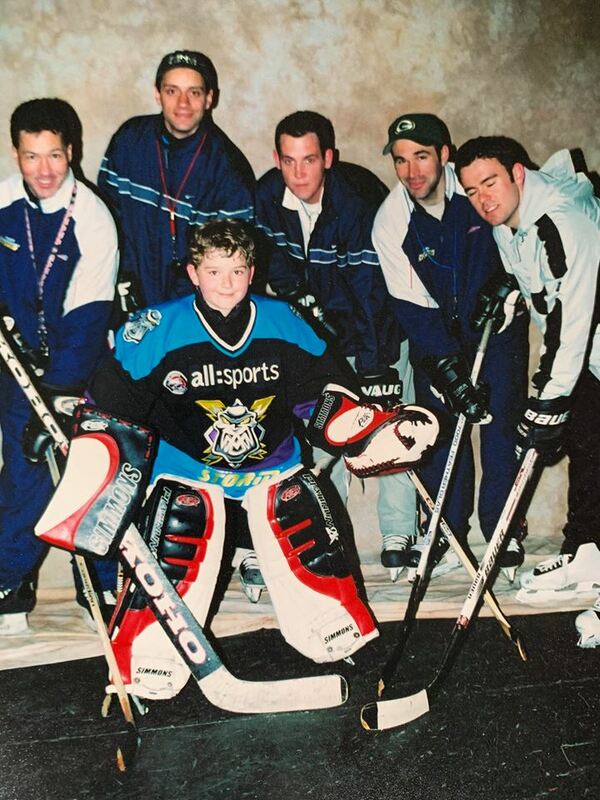 “As a young season ticket holder in block 109 of the Manchester Arena, it was the Storm who inspired me to play ice hockey and dream of one day playing for the organisation. I was elated to fulfil this 20 year dream and be able to sign off my playing career in the same city in which it started. The club’s second Skate with the Storm of the season, will be held on Wednesday 2nd Janyary 9:15-10am! Free with your own skates or just £2.50 for skate hire.